Located in the heart of India, Madhya Pradesh remains highly accessible from any part of the country. The state claims of good network of roadways, railways and air linking, which connects its important cities with the rest of India. Though most of the visitors from adjoining places opt for road travel to reach Madhya Pradesh, travelers from distant places prefer railways and air services. There are five key air terminals in Madhya Pradesh that augment air networking to the state. To know about the major airports located in Madhya Pradesh, read on. Raja Bhoj Airport is located about 12 km away from the old city of Bhopal. 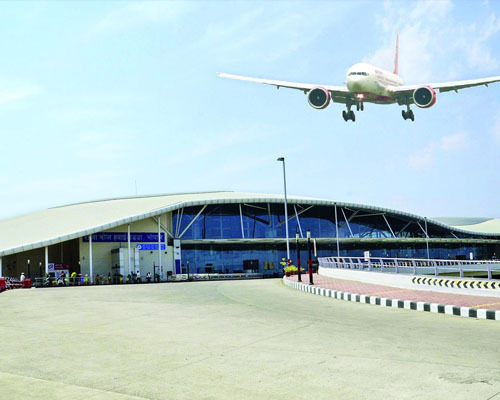 Domestic airlines, like Indigo Airlines, SpiceJet, GoAir, Indian Airlines, Jet Airways, Sahara Airlines, Kingfisher Airlines, Alliance Air, Paramount Airways and Air Deccan, connect the terminus to the places in and around the state. International flights of Indian Airlines and Air India also operates from here, to places like Dubai, Singapore, Sharjah and Bangkok. Keeping in mind the convenience of the travelers, the airport is well equipped with facilities like comfortable lounge, facilities for refreshments, clean washrooms and car hire. 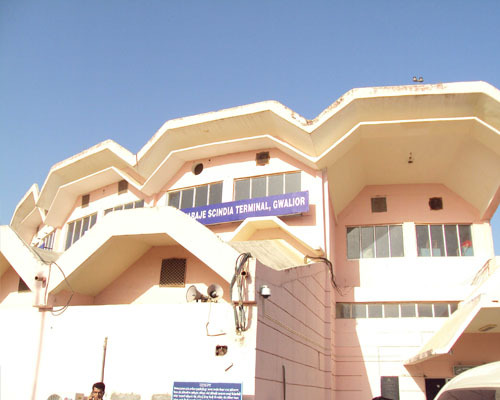 Gwalior Airport is situated 8 km to the northeast of the city and is one of the important domestic airports of the state. There is one domestic terminal in the airport. Key domestic airlines connect Gwalior to the rest of India. Some of the places from where one can avail flights to Gwalior Airport are Bhopal, Mumbai, Delhi and Indore. Flights of Indian Airlines are available thrice a week. At present, there are no provisions for international travel from the airport. The runway length of the airport is 9000 feet and its height is 617 feet. There are facilities for trolley, wheelchairs and telephone. 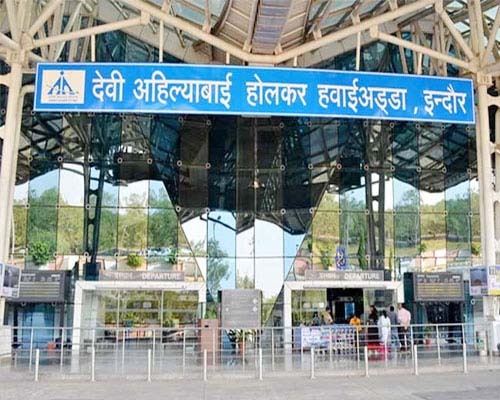 Named after the legendary Holkar Queen, Devi Ahilyabai, Indore airport is located 8 km to the southeast of the city centre and caters to the air traffic needs of people traveling to/ from Indore. Domestic airlines (like Jet Airways & Indian Airlines) and private airlines (like Sahara Airlines, Kingfisher, SpiceJet & Indigo) shuttle regular flights to different parts of India. Silk Air, Air Arabia, Indian Airlines and Air India Express are international airlines that fly from this airport. Facilities include parking, restaurant, coffee shop, luggage keeping, information desk, medical facilities, pre paid taxi booth, baggage wrapping and gift shop. 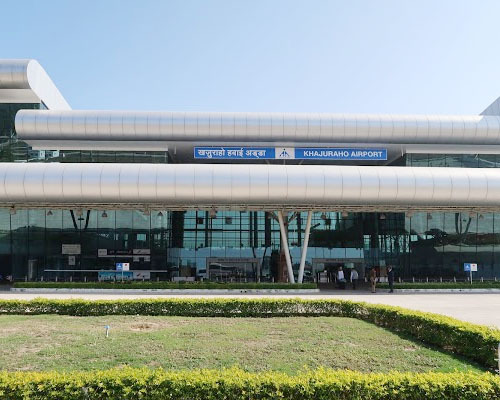 Located 3 km to the south of the Khajuraho town, Civil Airport is one of the most important air terminals of Madhya Pradesh and furnishes air travel facilities to the state. Though small, the airport provides air linkage to different cities of India. Flights of major airlines like Jet Airways (to Varanasi, Delhi and Mumbai), Air Sahara (to Bhopal, Indore and Delhi), Indian Airlines (to Varanasi, Delhi and Agra) and Kingfisher Airlines (to Bhopal, Allahabad, Indore, Mumbai and Delhi) operate from Khajuraho. There are also flights that connect Khajuraho to the neighboring country of Nepal. 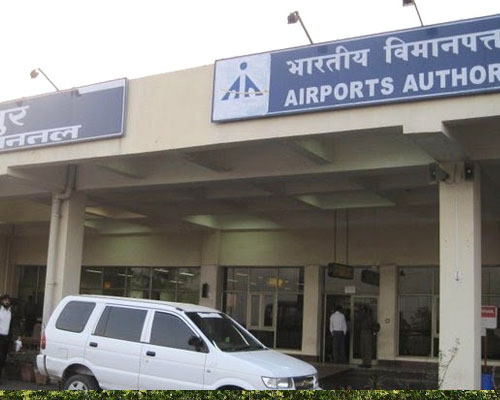 Jabalpur Airport, also called 'Dumna', is situated 20 km from the city centre. Both chartered and regular flight services operate from Jabalpur to other important air destinations in India. Some of the key airlines that operate from the Jabalpur Airport are Kingfisher Airlines, Indian Airlines and Air Deccan. Air Deccan provides regular services on the Delhi-Bhopal-Jabalpur route. Kingfisher Airlines operates daily services from Jabalpur to Indore and Mumbai and also connects Hyderabad and Nagpur, via Indore. Indian Airlines flies four days a week on Delhi-Gwalior-Jabalpur route. Vayudoot flights also enable tourists to travel to Jabalpur by air.